Billy was physically born in 1940 and "born-again" in 1958. Six months after his conversion, he was called of the Lord into Christian leadership. He received his bible training at Piedmont Bible College, in Winston-Salem, NC, and entered the pastorate in 1966. Over the next thirty years he pastored nine churches. During this time he also started three Christian schools, converted three radio stations from secular to Christian, and managed nine Gospel singing groups. He also owned and operated award-winning radio station WPUV, Pulaski, VA for six years. On March 1, 1994, Billy was given a new commission from the Lord... "I want you to be kind to my Christian Country artists." 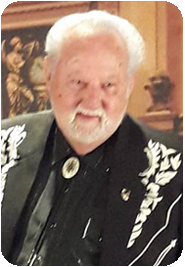 In response to this call, Billy worked with many artists and then originated the Country Gospel Music Association, May 17, 1996. CGMA, an International fellowship of Country Gospel Artists, is now the world's largest Country Gospel organization. Its purpose is to network and assist Country Gospel artists, and promote the Country Gospel music genre. As a result of his extensive travels and the assistance of CGMA members, hundreds of previously unknown artists are now serving the Lord through Christian music. Billy's heart is to generate the physical and spiritual means for placing many Country Gospel artists on thehome mission field, keep them busy, assist them financially, and be ongoing Home Office support. Copyright 2017, Billy Hale Ministries All rights reserved.